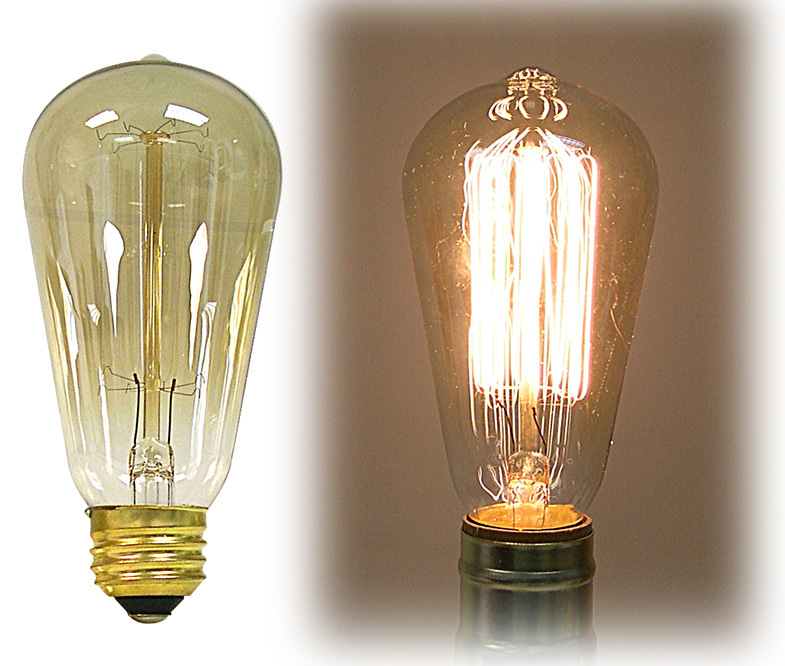 Antique Style Edison Light Bulbs make dramatic lighting accents with their softly glowing filaments. Patterned after Edison�s 1910 Light Bulb. Multiple Filaments In A Squirrel Cage Pattern Produce A Warm Glow. Clear Bulbs Have A Slight Antique Amber Tint. Standard Edison Base (E26). 120V. Can last up to 3,000 hours.